Cabin USA's Pigeon Forge cabin rentals with pool table are a great opportunity for the family to join together in friendly competition. Pool table cabins are also great for entertaining children in inclement weather or after a full day of Pigeon Forge Attractions. Several of our pool table cabins are a part of our Game Room Cabins offering arcade games and other indoor amenities for the family or group to enjoy. Though you're sure to enjoy our Pigeon Forge pool table cabins, take a moment to to explore our Smoky Mountain Area Information for great ideas on outdoor fun in the Tennessee Smokies! 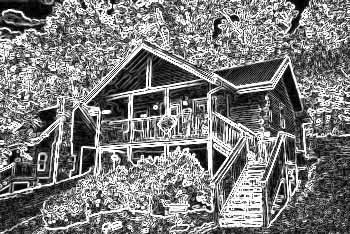 Browse our extensive inventory of Pigeon Forge cabin rentals with pool table and SAVE immediately by booking your Smoky Mountains rental cabin ONLINE!